Millions were heartbroken around the world following a deadly terror attack at an Ariana Grande concert Manchester, U.K. that left 22 people dead and injured many others. But Manchester Arena is determined to prove that music is louder than hate. On Sept. 9, the site of the attack will reopen with a huge benefit concert, We Are Manchester, that will raise money to fund a memorial for the victims, according to Billboard. So far, Billboard reports Noel Gallagher’s High Flying Birds have been announced as the event’s headlining act with other performers including Courteeners, Blossoms, and Rick Astley. Gallagher tweeted out an announcement on Wednesday via Twitter. The statement also noted that tickets for the show will go on sale on Thursday, August 17. We Are Manchester will be the second major concert held in honor of those who lost their lives during the horrific attack in May. The first, One Love Manchester, was put together by Grande and featured performances by Katy Perry, Miley Cyrus, Justin Bieber, Chris Martin, and Imogen Heap. 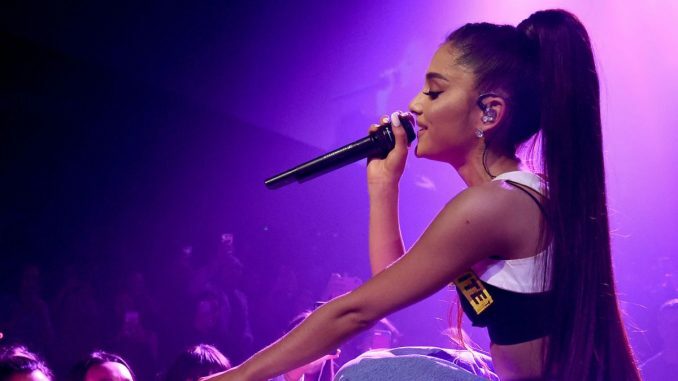 The proceeds from the show contributed greatly to the We Love Manchester Charity, which has raised approximately $23 million. On Tuesday, the fund announced that it would donate $324,000 to the families of each of the victims. In addition to financial support, the fund has helped provide free counseling to families. Billboard notes that nine people impacted by the blast are still hospitalized and that the investigation into the suicide attack is still in progress. Since the attack, many shows have been canceled, including those by Kings of Leon, Radiohead, and Blink-182.